Our 2016-17 Lincoln Czech-Slovak Queen is Miranda Zitek from Lincoln, NE. She is the daughter of Sam & Julie Zitek. 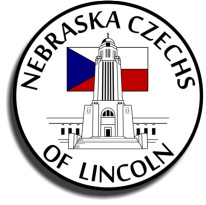 Miranda was crowned on May 1, 2016 at our 47th Annual Lincoln Czech Festival and competed in the 54th Annual Nebraska Czech-Slovak Queen Pageant on June 25th in Clarkson, NE. Miranda represented us in the “Miss Nebraska Czech-Slovak Queen Pageant” in Clarkson, June 2016, where she won Miss Nebraska Czech-Slovak Queen. The Lincoln Czechs are very proud of her and want to thank her for all that she has done to promote her Czech heritage.